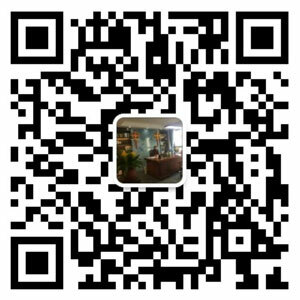 Cable Recycling Line - WANROOE MACHINERY CO.,LTD. The cable recycling line is one of our products that are developed on our own. It is usually used to produce copper and recycle plastic granules. 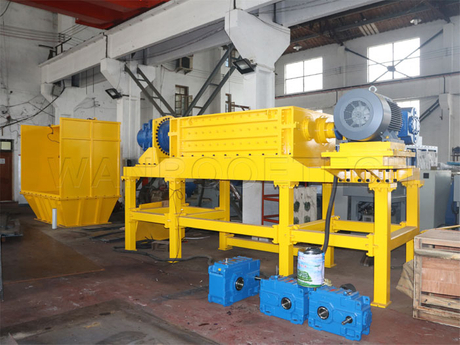 The separator is independently developed by ourselves and has rational structure, stable operation performance, and so on.Besides, the cable recycling line can facilitate the installation, test running and delivery. You can just put it into use immediately when you receive it. Moreover, during the whole production process, the cable recycling facility only needs to be fed once because the volume for material is quite big. 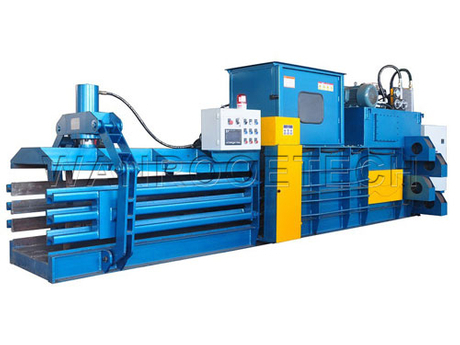 The cable recycling line can facilitate the installation, test running and delivery. 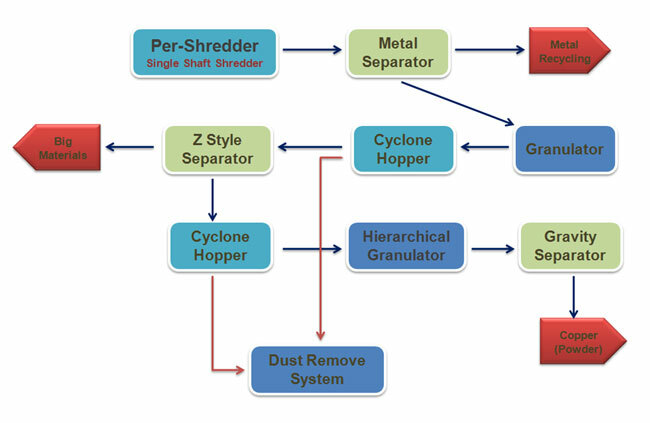 Application ● The separator of the cable recycling equipment is suitable for processing all kinds of cables,such as Household electrical wiring, telecommunication cable,fiber cable etc.Custom products are available according to customers’ requirements. ● All of the operations, can be finished automatically through our lead-acid battery recycling line, this avoid the direct harmfulness to operators’ health when they contact with those poisonous materials. The exhaust of noxious substance is also reduced greatly, so is the environmental pollution. ● It can separate copper from plastic effectively by crushing, vibrating screening separation and vibration separation so as to achieve comprehensive utilization. ● The whole cable recycling production line though automation , make the copper are fully recycling, greatly improve the effect of separation and the purity of copper(Recovery Rate > 99%).